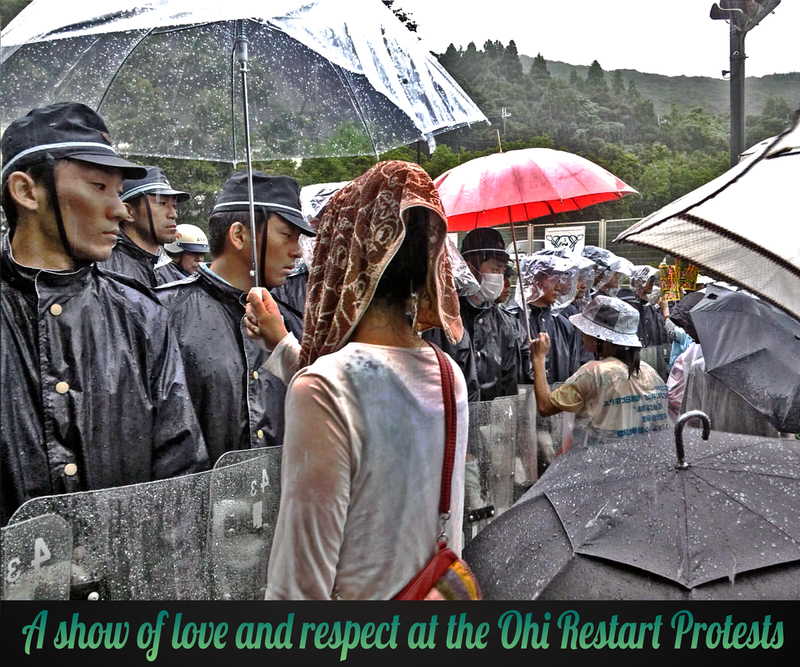 At the height of the protests against the restart of the Ohi nuclear reactors, many young people blocked to the nuclear power plant for days. Here, protesters are holding their umbrellas for members of the police force, who do not have any protective gear. I heard many who thought no benefit would stem from their peaceful protest, but looking at this picture, I believe that only by an honest attempt at mutual respect and communication can we hope for resolution.